This month our kids will be praying for people living in far away places, as well as for the people living right next door! They will spend time focusing on the death and resurrection of Jesus and will pray for their own relationships with the Lord. 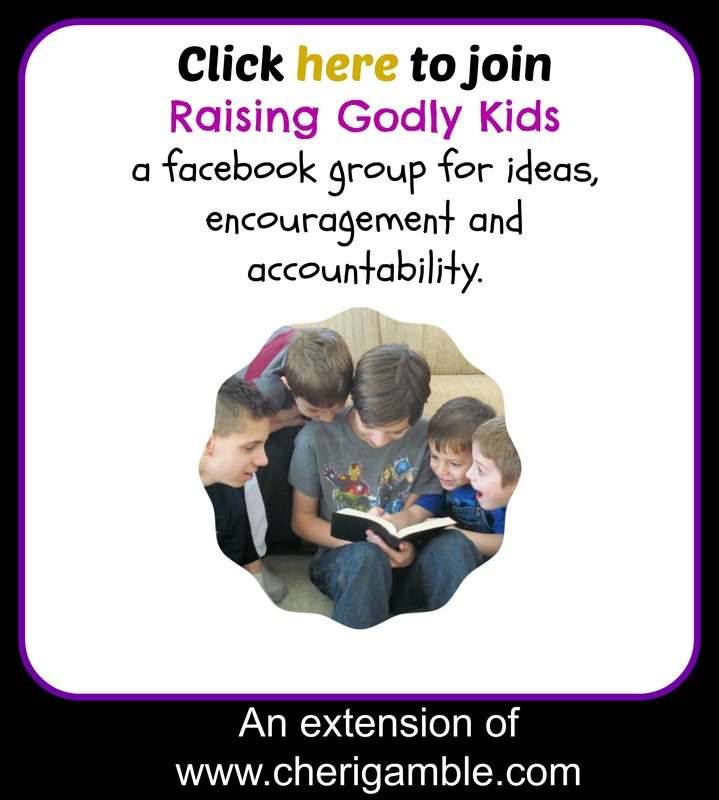 This is a great month for your child to pray intentionally BIG prayers! And when your child’s prayers join with my child’s prayers . . . well, we might never be fully aware of the impact our kids are having simply by praying BIG! 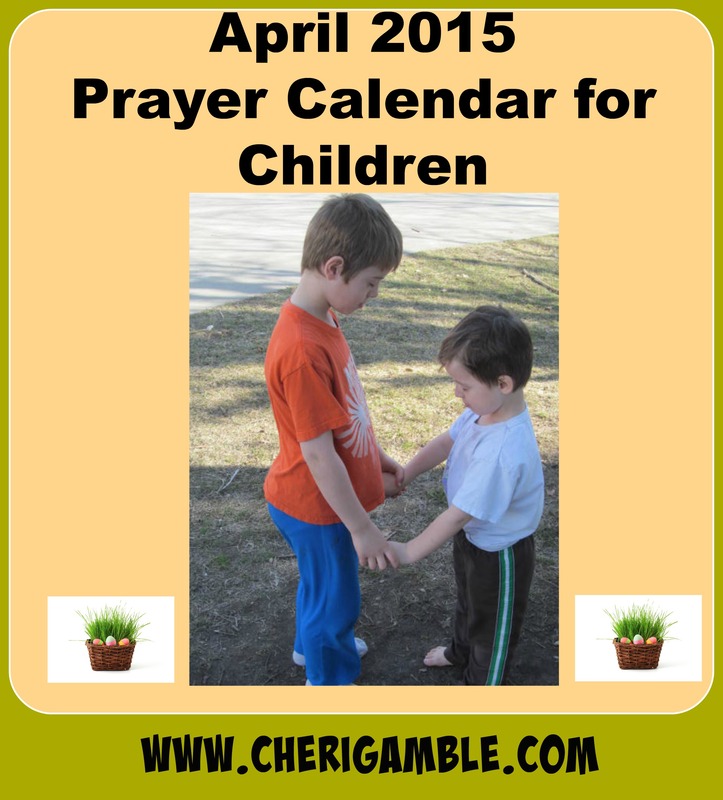 And now here’s the prayer calendar for April. 1. Pray for your next door neighbor. Pray for opportunities to show him Christ. 2 Pray for forgiveness for the times when you do not have a servant’s attitude. Ask God to help you be a servant. 3 Spend time today thanking Jesus for His death on the cross for us. 4 Decorate Easter Eggs today! 5 Praise Jesus for rising from the dead! He is our awesome and mighty God! 6 Pray for God’s will to be done on the mission field in South Africa. 7 Pray for the people who work at your local library. 8 Pray for your teacher. If you are homeschooled, pray for your parents! 9 Pray for forgiveness for the times you lose your temper. Ask God to help you be slow to anger. 10 Ask God to help you deal with your greatest temptations. 11 Play catch with a neighbor or little brother or sister today! 12 Jehovah Elyon – The Lord most high. Praise God for being above all! 13 Pray for God’s will to be done on the mission field in France. 14 Pray for a revival to break out among truck drivers. 15 Pray for the financial needs of your family. 16 Pray for forgiveness for the times you become impatient. Ask God to teach you to be a patient person. 17 Pray for the fashion industry. Pray for a desire for modesty to take over fashion! 18 Clean the house of someone who could use your help today! 19 Jehovah Mekah – The Lord punishes sin. Praise God that He is just – but that He also provided salvation! 20 Pray for the persecuted Christians in Iraq. 21 Pray for the leaders of your country. Pray for them to seek and follow Jesus. 22 Pray for your family to draw closer to one another and to enjoy being together. 23 Pray for forgiveness for the times you speak carelessly. Ask God to help you guard your speech. 24 Pray for people who are tempted by drugs and alcohol. Pray for them to be able to say no. 25 Plant flowers in your neighborhood today! 26 Jehovah Shammah – The Lord is present. Praise God that He is always with you and involved in your life. 27 Pray for the mission field in your own community. Pray for God to help YOU be a missionary! 28 Pray for the leaders of your local church. Pray for them to feel God’s presence and encouragement. 29 Pray for yourself! How is your relationship with Jesus? What needs do you have? Pray today for YOU! 30 Pray for the forgiveness of your nation. Pray for your nation to come back to God. Saturday: A suggested activity/service project to end the week. What a lovely prayer calendar. I love all the thoughtful intentions with this. I like the “fun” bits too. Wishing you a lovely evening.